Combining the spy mythology and bold aesthetics of the 1950’s and 1960’s and set during the Cold War, CounterSpy™ focuses on the rogue third spy agency, C.O.U.N.T.E.R., that keeps the world’s super powers at bay. 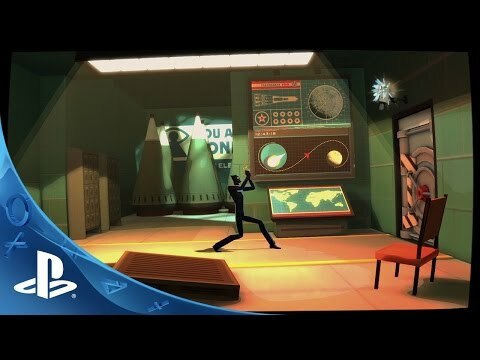 All online features for Counterspy on PlayStation 4, PlayStation 3, and PlayStation Vita, including linking the game from mobile devices to your PSN account, Rival Agents, the trophy “International Nemesis,” and other network features, will be discontinued as of June 1st, 2018. Thanks for playing! ©2014 Sony Computer Entertainment America LLC. CounterSpy is a trademark of Sony Computer Entertainment America LLC.